I’ve read this supercute (children’s) book with a couple of my students this week. They weren’t too happy to have gone back to school again. That’s because, as they said, some teachers make things so boring. I agree. I was never a fan of school myself; especially high school I found dreary (= dull). But some of my teachers were great and were even inspiring. I believe it’s a teacher’s job to do and say things that their students motivate to put in some work. It’s even better if a teacher can teach things to a student that they didn’t believe they were capable of. You can download the story here. It will take you only 10 minutes to read it. 1 Did you have a favourite teacher? What did you like about her/him? Did this teacher teach you anything useful? 2 How did the teacher inspire the girl in the story? 3 What is the broader meaning of this book? 4 How can teachers make students’ school experience better? Here are my own answers to these questions. Yours could be different, of course. 1 I had a favourite teacher at elementary school. He could draw fantastically and would colour the blackboard from top to bottom with explanatory drawings. He was also a great storyteller and this made history lessons the highpoint of our week. Whenever he told of the Spanish Armada, the Roman conquests, or the great sea battles between the Dutch and the English, the whole class would be sitting totally arrested, some with mouths open. This teacher had no trouble keeping order in the class, even though there were some unruly children that he had to chase down the hallway. He inspired us with his balanced, cheery presence. By the way, another thing that was outstanding about this teacher was that he never gave us harsh punishments or started shouting hysterically, unlike some of the other teachers I had. Instead, he’d really solve problems. 2 The teacher in The Dot shows the girl to be better than herself in two ways: First by shaming. She tells the student sarcastically that her empty page looks like a polar bear in the snow. When the student has placed a dot on the page, the teacher hangs her “artwork” on the wall behind her where everybody can see it. As the girl’s name is on it, that is pretty embarrassing. The second way that the teacher inspires her is indirectly: The student is made to understand that she has to produce some type of work. It won’t be acceptable if she does nothing. The teacher makes no demands as to what she has to draw exactly. The girl is free to draw what she likes. The lack of specific instructions gives the student the freedom to explore her own interests and talents. When at the end the student gets her own exhibition of dot paintings in the school, we can presume that the teacher encouraged her to show her paintings to the world, or at least allowed her to do this. Start small and see where it takes you. You are probably more talented than you thought. If you don’t start working on something you will never find out what your talents are or what you are capable of. Developing a talent or skill takes lots of work. Doing what your teacher tells you to do could be more interesting than you thought. A good teacher can give you a push when and where you need it, but they also leave you alone when you need it. People inspire other people (the girl inspires a little boy at the end of the book). And: exploring new skills can be lots of fun! Obviously there are many ideas about the best ways to teach and the best kinds of schools. I don’t want to go into all that now. I believe that a teacher’s job is to stimulate the student to start exploring a subject on his or her own. Set high standards for your students, but don’t make them do things in the way that you think is right all the time. 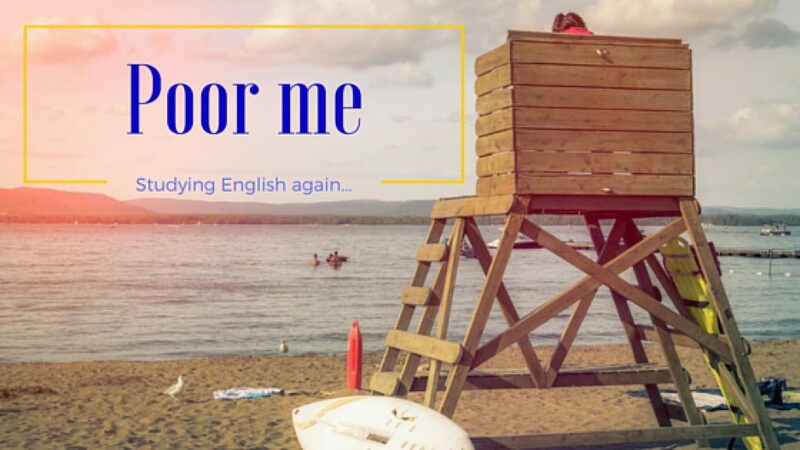 The exception is of course if this is about spelling or grammar, which have rules of their own. 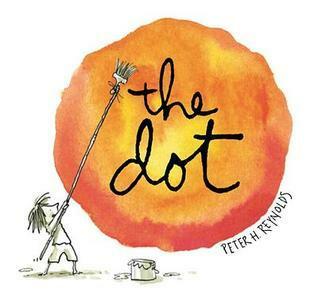 What the teacher in “The Dot” doesn’t do is appeal to the student’s imagination, which I think is another important task the teacher should take upon himself. The teacher should offer some kind of reference for the student. For instance, when students are interested in painting dots, also show them some paintings of dots made by other painters, or if the student is older, encourage them to find references on their own (in the library, online, asking experts). This will make their experience richer.